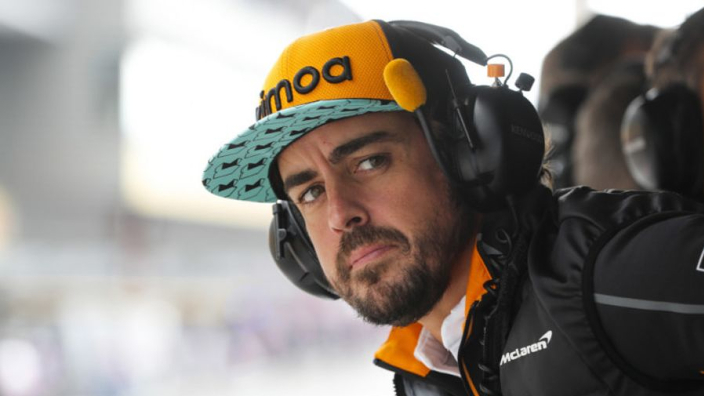 Fernando Alonso's failure to depart Formula 1 with more race wins and world titles has nothing to do with his talent, according to F1's director of motorsports Ross Brawn. Alonso has 32 grand prix victories and a pair of drivers' championships to his name, but Brawn believes the Spaniard was capable of more, if he had only managed to find the right teams. Alonso snapped Michael Schumacher's dominant title success with back-to-back titles at Renault in 2005 and 2006, but his career since has been characterised by near-misses and errant team moves. He finished second in the championship three times to Red Bull's Sebastian Vettel while at Ferrari, but a switch from the Scuderia to McLaren in 2015 has backfired badly. As McLaren have struggled to compete even in the midfield, Vettel has shown what might have been for Alonso at Ferrari, pushing Lewis Hamilton in the title race for the past two years. "I don't think Fernando won as much as his talent deserved, partly because he's never seemed to be in the right team at the right time, but he always stood his ground and took on his responsibilities," Brawn said. "He will be missed, particularly by his fellow competitors, as all drivers - especially the top ones - know how important it is to go up against a worthy opponent. "I think this was the thought that resulted in Lewis Hamilton and Sebastian Vettel forming a sort of guard of honour for the Spanish champion as they drove down the pit straight after the race and then put on a really spectacular show. "In the past there were often arguments between Fernando and the other two, but in Abu Dhabi, respect was the prevailing emotion. "Spinning around in clouds of smoke after the race were drivers who had 13 world titles between them, a notable achievement in the history of this sport and it was a moment that those who witnessed it will remember for a long time."